Over the past few years, influential officials in the American government have utilized information received by news agencies associated with the Mojahedin-e Khalq Organization (MKO) in order to persuade the American government that Iran poses a security threat to American interests. The end sum of these objectives is to force a military confrontation between the two governments, wherein MKO confidants and proxy organizations would replace existing political structures in Iran. 2) The MKO and associated political bodies, are legitimate opposition movements, as opposed to a terrorist group, and the “democratic alternative” to the Iranian regime. Evidence of these effects can already be seen by the MKO’s effectiveness in persuading mass news agencies to publish stories advocating that newly elected President Ahmadinejad was pictured directly involved in the 1979 hostage. A picture of a lean bearded Iranian holding a hostage was shown on the website Iranfocus.net, a “news” agency with ties to the MKO, to depict Ahmadinejad’s involvement. Although the allegations were quashed less than a week later (the man pictured was identified as Taghi Mohammadi), the public attention it was able to garner forced the Bush administration to establish a commission evaluating Ahmadinejad’s role in the hostage crisis. That being said there&apos;s a variety of reasons to view the MKO news agencies and similar modules as instruments of propaganda as opposed to instruments of news. First, the organization is a terrorist group under both US and European law. The State Department continues to list the MKO as a terrorist group. Although MKO agents have claimed that the inclusion was part of Clinton&apos;s appeal to the reformist government in Iran, the argument is no longer cogent in light of the fact that during Bush&apos;s 5 years in office he has yet to remove the MKO as a terrorist group despite significant political pressure by various neo-conservatives (this includes Daniel Pipes who currently has a chair with the US Institute of Peace) and Republican representatives. – In 1973, the MKO assassinated Lt. Col. Lewis Hawkins, a U.S. military advisor in Iran. – In 1975, MKO members shot and killed two U.S. Air force officers in Tehran and attacked a U.S. Embassy van in Tehran resulted in the death of a local employee. – In 1976, the MKO assassinated three American employees of Rockwell International working in Iran. – In 1979, the MKO openly supported the holding of US hostages until 1981 when they began directing their attention to Khomeini. Evidence of MKO propaganda in Iran Focus is also apparent when we compare their report to a report by the Washington Times concerning a recent MKO event. An Iran Focus report indicates that there were thousands of participants, while the Times only reports 300. Similarly, when reporting on a MKO protest in Berlin, Iran Focus reported that over 40,000 participants were in attendance. According to the Council on Foreign Relations, the MKO only has 10,000 members and supporters worldwide. Lastly, no terrorist organization should be excused for murders committed or tolerated under their authority. MKO leaders were directly engaged in past abuses against American soldiers and citizens during the late 1980s and Iranian citizens and officials in the 1990s. We would never expect the American government to excuse Osama bin Laden 30 years after 9/11 for not engaging in any further attacks against Americans, nor should such immunity be given to MKO officials. There is no statute of limitations against murderers or conspirators to murder, nor is there one for terrorists and those who conspire with terrorists. Even were it that the MKO reserved its terrorist attacks for Iranian rather than American or British targets it is important to remember that terrorism anywhere is terrorism everywhere regardless of our relationship with its targets. Using propaganda by a terrorist group, which is distrusted by Iranians everywhere because of their cooperation with Saddam Hussein’s regime during the Iran-Iraq war, does not more to benefit the Iranian government rather then its true democratic opposition. In particular, if American officials lend an ear to the MKO, the Iranian government will use this relationship as a method to create anti-US sentiment in Iran. One should finally note that opposition to the MKO, or hardline monarchists, does not brand one as an apologist or IRI-supporter. As Congressman Bob Ney rightfully stated, “Opposition to the Mojahedin is not the same as support for the regime in Iran.” Rather this opposition to the MKO is based on sincere concerns that political propaganda is being utilized by one organization in order to defeat the internal movement for democracy and human rights. Democracy in Iran should be based on truth, justice and reconciliation, not fabrications and exaggeration by terrorist organizations. 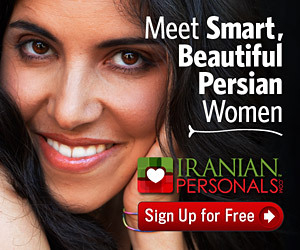 Nema Milaninia is a law student in Southern California and owner of the weblog Iranian Truth.